The onus is on marketers to better understand technology at their disposal because it is technology providing the ability to interact with customers in new ways, Salesforce’s CMO for Asia-Pacific, Michael Peachey, says. 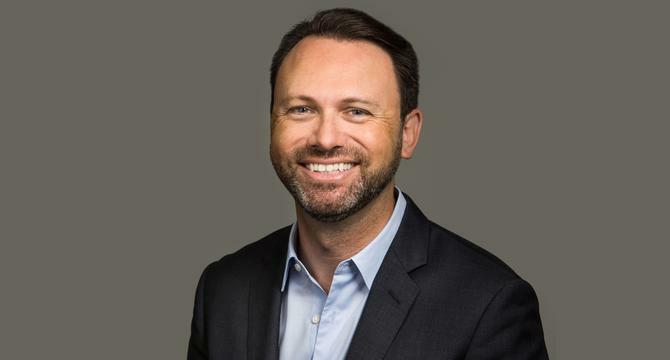 Peachy was appointed Salesforce VP and CMO for Asia-Pacific marketing in November after spending the previous seven years in the software vendor’s US headquarters. Most recently, he ran two editions of Dreamforce, Salesforce’s US-based conference now attracting more than 170,000 people to San Francisco each year. Prior to this, Peachey was part of the Salesforce solutions marketing team working across special projects. The remit included building immersive experiences at Dreamforce showcasing how key brands, such as NBC, Virgin America, Philips and Tesla, are using the technology platform. It was technology and not marketing which initially prompted Peachey to study business IT and landed him his first job at the Australian Stock Exchange, helping construct the first IP trading network connecting brokers. From there, he became a software consultant, systems engineer and moved into sales. He then became a US-based product manager for networking giant, Juniper Networks, via its acquisition of WAN optimisation company, Peribit, in the mid-2000s. With a knack for communicating the benefits of technology in business, it was only a matter of time before he moved product marketing. After a role running marketing at Silicon Valley startup, Pareto Networks, Peachey applied to join Salesforce as a product marketer for Service Cloud, one of just three offerings from the vendor at that time. It’s this customer advocacy and success that lies at the heart of Salesforce’s marketing strategy as it shifts gears from cloud-based CRM upstart to one of the largest enterprise software companies in the world. In its fiscal 2018 year, Salesforce reported annual revenues of US$10.48 billion, up 25 per cent year-on-year, across its portfolio of platforms for service, communities, commerce and marketing functions. More widely, Peachey outlines four priorities coming into the regional CMO role. The first is building knowledge around customers, a list that includes Service NSW, Volkswagen and McDonalds in Australia. The Australian marketing team was recently the guinea pig for rolling out a Data Management Platform (DMP) internally, a technology from Krux, which was acquired by Salesforce in late 2016. “That was extremely successful in personalising marketing, and delivering the right messaging at the right time to the right audience. That’s just the beginning of that innovation,” Peachey says. “We can continue to try and test new things and share that with new customers. Thirdly, Peachey is following the global lead in promoting Trailhead, Salesforce’s education program, and Trailblazers, high-performing users within the customer mix. He notes Trailhead has handed out 6.5 million completion badges to date, 30 per cent in APAC, and says there are 600,000 Trailblazers globally. In all, 2.5 million people participate in the Trailblazer community. Peachey’s other priority is improving how Salesforce marketing applies science and data. “We have a wealth of data like most organisation; the challenge is harnessing it and working with it in a smart way to deliver what customers need,” he says. “Artificial intelligence [AI] will be incredible here. Right now, we’re able to do things like serve up the hottest lead or the lead that sales should follow up. Peachey has already spotted huge regional variety around marketing maturity, evolution and technology adoption. A/NZ for example, is a relatively mature market for Salesforce. Where he sees room for improvement is around customer experience as the lead driver of marketing activity. “There’s some way to go for organisations to put the customer at the centre of what they do and make sure they’re delivering connected experiences around the journey they have,” he comments. “My personal experience coming back into the country and dealing with providers to get things set up indicates there is still a clear disconnect on touchpoints a customer can have with those brands. As organisations strive to be more customer-led, and channels of engagement proliferate, the relationships marketers need to forge across the business change significantly. One example Peachey points to from experience is partnering with sales. Through Salesforce Marketing Cloud’s integration with Google 360, internal teams are not only able to assess the performance of digital marketing efforts across channel, it’s also possible to link those to offline experiences, Peachey says.